Since Freya's been back from China, we've been looking at how to brighten up the flat and make things a bit more cheery. 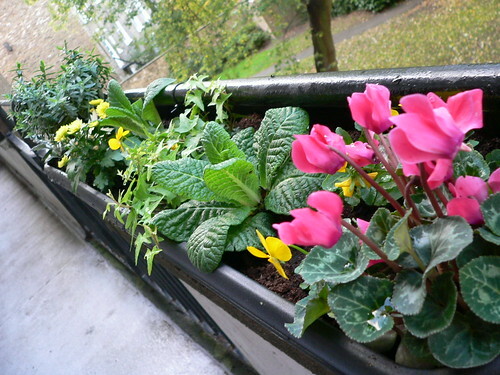 We started by talking about putting some plants on our window sill outside the flat, and that idea eventually expanded to putting plants in troughs all the way along the walkway outside our flats - our 'street' if you like. 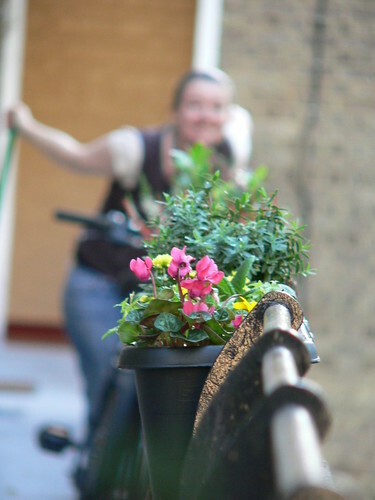 Not consciously trying to 'give something to the community' but rather make the whole street look nice rather than just our flat which would look a bit weird. 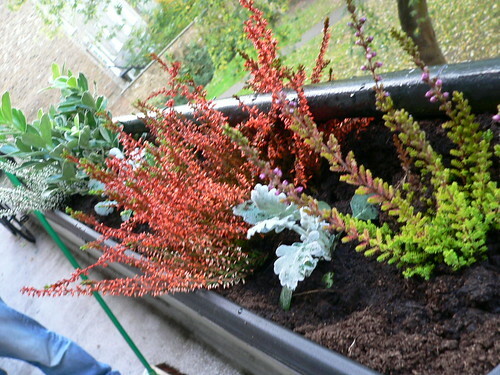 So on Saturday we went to Homebase and spent a chunk of dosh on troughs, compost, and plants. 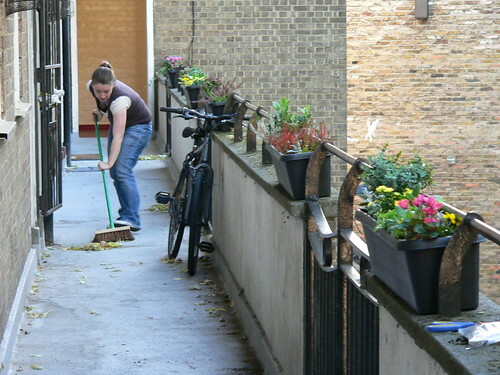 Then yesterday, we spent the afternoon planting them out. We put notes through the doors during the week inviting the neighbours to come and join us but they didn't - a couple did come out and say hello and that they thought they looked nice though, so that's good. It also meant that we could eat the cake that Freya baked, all on our own. Here's the end result, we're very happy. Slightly nervous that the council might find some reason to object, or that the nutter down at number 9 will start throwing them over the edge or something, but for now they make the place look a lot more cheery and bright.